One of the first things I learned when figuring out how to embroider was how to do a lazy daisy stitch. I really wanted to make some cute flowers, and this was an easy way to do it. 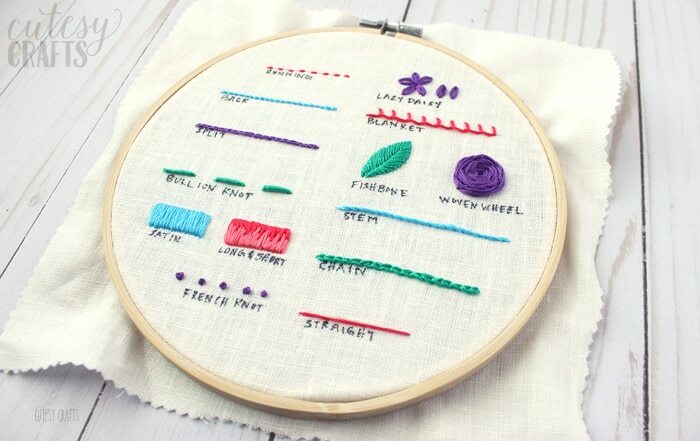 This embroidery stitch is great for making anything with a teardrop shape. I use it for making flowers, leaves, raindrops and more. 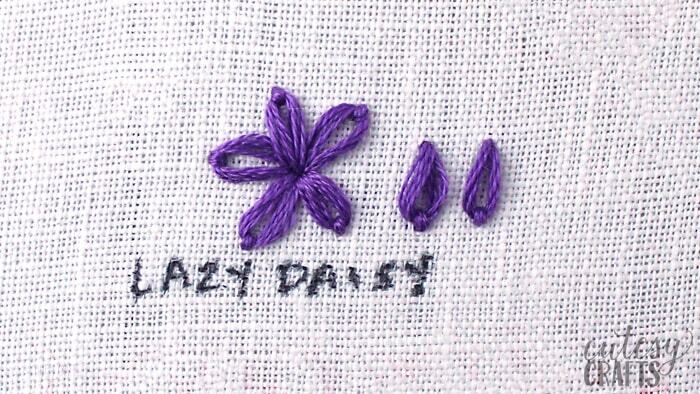 After a couple of tries, you’ll be a pro at the lazy daisy stitch! Learn how to do a lazy daisy stitch by watching my video below or heading over to my YouTube channel. It’s a pretty easy one to do. You just bring your needle from the back to the front of your work, push it down through the same hole again, but leave a loop on the top. Bring your needle back up through the end of your petal and through the middle of the loop. Give it a little tug and stitch one itty bitty stitch over the end of the loop to secure it. I am just getting back into embroidery. 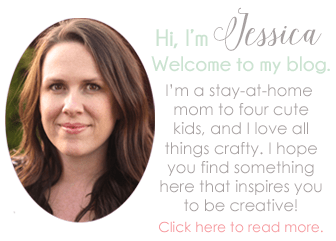 I am excited to see the neat things that can be made. I also love to sew. That’s great that you are getting beck into embroidery. It’s such a fun and relaxing hobby! Have fun making new things!